This is a lovely refreshing summer porridge that does not need heating as it’s 100% raw! Buckwheat is not a grain nor does it contain wheat despite the name buck”wheat” it is actually a fruit seed! Unlike starchy grains that spike blood sugar levels, buckwheat ranks very low on the glycimic scale, it reduces and stabilises blood sugar levels- great for diabetics. Buckwheat is also a great source of magnesium and contains more protein then grains. I’m all about eating foods that are great for digestive health as I believe it is the key to optimal health! That is why I soak nuts and seeds over night as this easy method makes them much easier to digest. Using a high speed blender or food processor blend all porridge ingredients and pour into bowl. 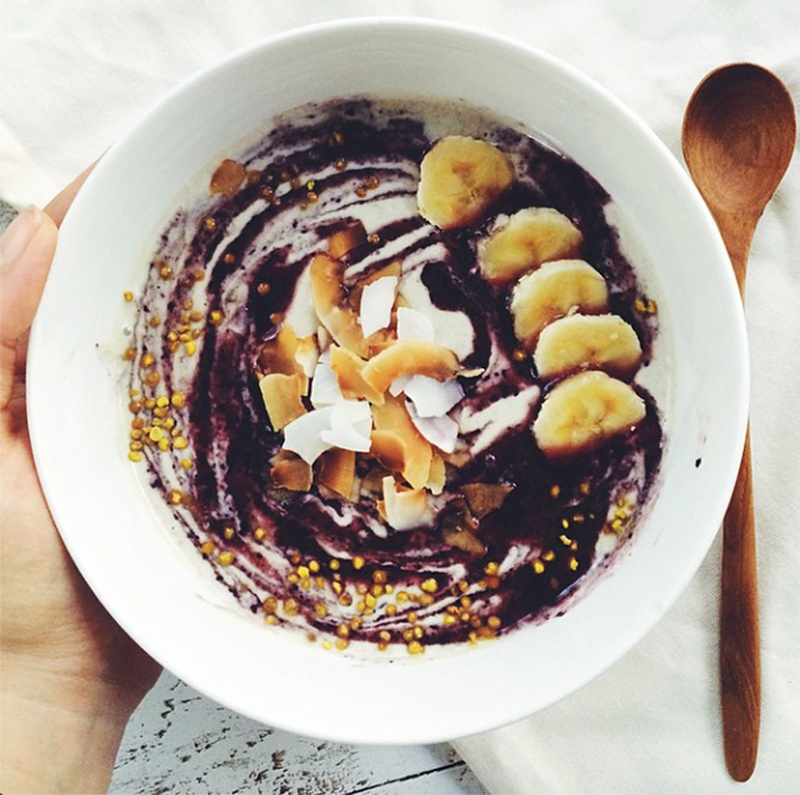 Dollop blueberry sauce on buckwheat porridge and with a spoon you can make your swirl. Add toppings and enjoy your wholesome breakfast!